Home Travel 4 Must visit National Parks in Dooars! 4 Must visit National Parks in Dooars! Right after the cold winters, early summer is the best time to visit reserve forests and wildlife sanctuaries in the Dooars region. The weather in North Bengal still remains pretty pleasant during this time of the year and this is also the time when most forest fruits ripen. The herbivorous animals then venture out of their secret hideouts to relish these fruits and also enjoy the warm sunshine. All these would also mean great time for tourists as chances of sighting goes up tremendously. 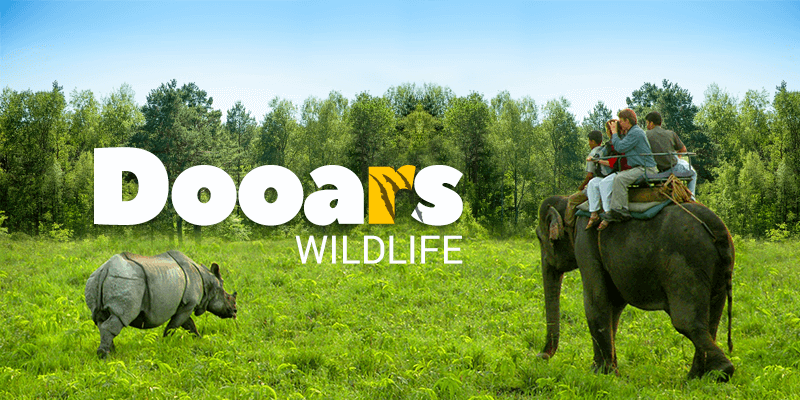 But you need to know which Dooars forests offers you the best sighting experience. Read below to know where the rhinos and red pandas are waiting for you. Spread over 200 sq. km area, Jaldapara National Park is your best bet if you want to see the mighty rhinos. This national park boasts of high one-horned Asiatic rhino population besides other species such as Indian bison, deer, antelopes, and of course elephants. Though Jaldapara forest area has a small population of leopards and tigers, you might just get lucky to spot one! Entry fee: INR 25 for Indians and INR 100 for foreigners. Safari Charges: INR 140 per person for elephant safari; INR 450 per person for Jeep safari; INR 50-200 for taking your own vehicle inside the forest; INR 100 for hiring registered guides. Note: Though the Forest Department allows travellers to enter the forests with their own vehicles, you can’t get into the core area. Thus the animal sighting chances remain quite low. Tip: The salt pit opposite to Hollong bungalow is the best place to view the Bisons and Rhinos, who come out in the evening to satiate their craving for salt. Nearby attractions: Don’t miss the Khairabari Leopard Rescue Centre where leopards rescued from nearby tea gardens and human settlements are kept before being released into the wild. You can also visit Totopara, home to Toto tribes who are one of the 75 designated primitive tribal groups of India. Buxa Tiger Reserve is part of the Buxa National Park situated in the Alipur Duar district of West Bengal. 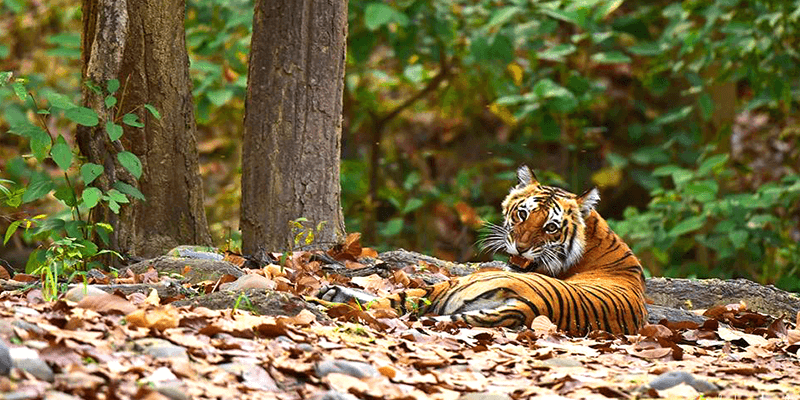 With six tigers relocated here a year back, Buxa Tiger Reserve has been a hotspot for tiger sighting. With thick forest and lovely flora and fauna, the Reserve is good to visit by itself – sighting can be the nice icing on the cake. Within the Reserve you can view other animals such as elephants, Chinese pangolin, royal python, great hornbill, to name a few. Another prime attraction here are the many colorful species of butterflies. Safari Timings: Jeep safaris from Rajabhatkhawa entry point is open between 6 am to 3 pm. Trivia: One of the popular entry points for the tiger reserve is situated at “Rajabhatkhawa” (which means “the king ate rice”). It is believed that after a war, which culminated into a truce, the kings of Bhutan and Cooch Behar ate their lunch (rice) in this town. This reserve forest was declared a national park in 1949. 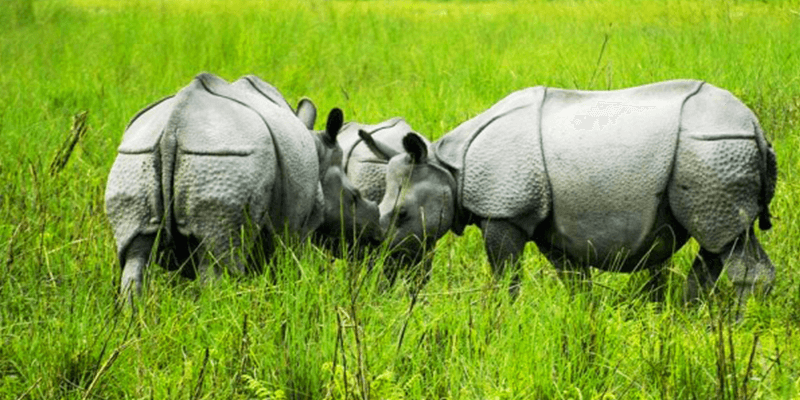 Situated near Malbazar in Jalpaiguri district, the Gorumara National Park is known for its high population of rhinos. Gypsy and elephant safaris are organized by the Forest Department and they give you a chance to sight not only the rhinos but also gaur, chital, sambar deer, Indian wolves and Asian elephants. Apart from the safaris, the tourists can enjoy a panoramic view of the forests from one of the many watch towers placed strategically within the Gorumara national park. Some such popular watch towers include Jatraprosad, Medla, Chandrachur, Chapramari and Chukchuki Watch Tower. Add-on Costs: INR 150 for registered guides, INR 200 for video cameras. Tips: The Jatraprosad watch tower is the best place to catch a glimpse of rhinos, while Chukchuki offers a great experience for the bird watchers. Trivia: The Jatraprosad watch tower takes its name from a legendary female elephant who saved the lives of many baby elephants. Situated in the Kalimpong district of West Bengal, Neora Valley National Park touches the neighbouring state of Sikkim and our Himalayan neighbours, Bhutan. 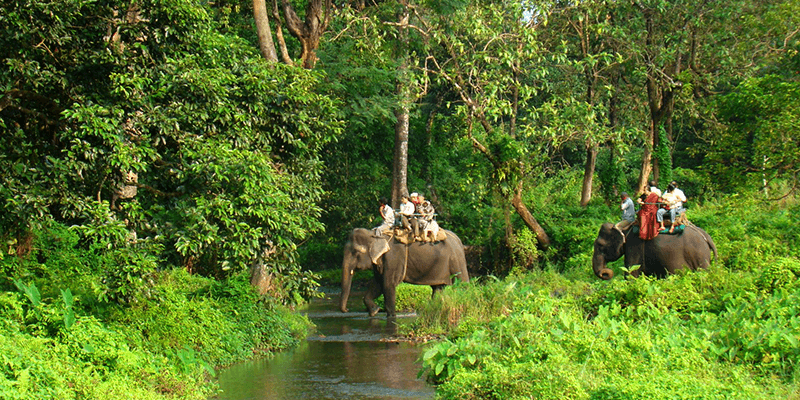 This forested area in Dooars is the most bio diverse national park in eastern India. The dense forest cover here makes it a popular hotspot for trekkers and adventure seekers besides being regularly visited by entomologists and bird watchers. 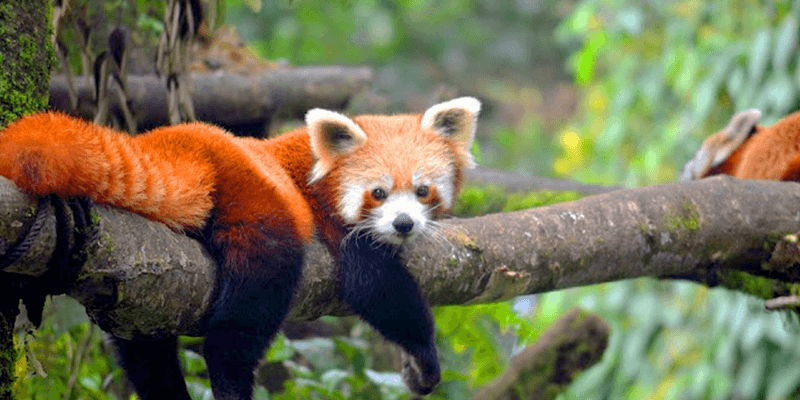 The Neora Valley National Park is also one of the rare places in India where can spot the elusive red panda and clouded leopards. Timings: 8 AM till sunset. Entry fees: There is no entry fee, but you would need a permit from Forest Department officials. Nearby attractions: If you are entering from Lava, make sure you visit the Nature Interpretation Centre where you can have a very good idea about the terrain, fauna and animal life of the forest. So, before choosing a Dooars tour package, make sure one or couple of these pristine wildlife destinations are included in them. Previous articleGet Set for an Awe-Summer Family Vacation at Imagica! I could not get your question. Can you please explain? pl sent road map .and how to reach their . rail. bus. near by air port. and hotel names with facililies. with room price. You should first of all book train tickets to New Jalpaiguri (click on https://www.railyatri.in/train-ticket to book train tickets). Next, you need to hire outstation cabs to reach these destinations (click on https://www.railyatri.in/cab-search to book cabs from Siliguri). You need to use Siliguri as your base so book hotels in Siliguri (click here: https://www.railyatri.in/hotel). I hope these services would help you in touring to Dooars. Rest of the information is mentioned in the blog.